Happy Friday everyone! Welcome to BFF, B’s Food Friday! Healthy eating, fitness and weight loss top the list of many people’s personal goals. Incorporating more fruits and vegetables into your diet will help you achieve all three. One super easy, affordable and delicious way to do this, is by drinking green drinks and smoothies. No expensive juicer is needed with my recipe. Just a blender. It’s better anyway as you consume all of the fruit and vegetables, including the fiber and nutrients left behind with juicers. I like to start clients out with this recipe not only because it’s so simple, but because it tastes great! If people are new to green drinks, they are pleasantly surprised when they try this and it’s the catalyst to them trying a whole host of other recipes and even making up their own. Green drinks and smoothies are an easy way to get multiple servings of fruits and vegetables effortlessly. 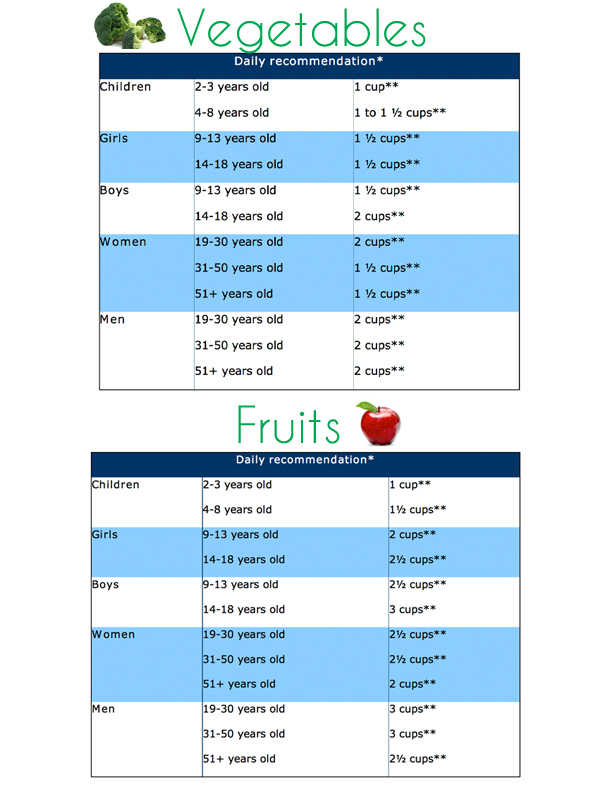 For example, here’s the USDA recommendations for daily amounts of fruits and vegetables. This particular recipe provides a minimum of 4 of the recommend daily servings of fruits and vegetables. Simply peel the oranges and banana, and place them along with the spinach and 1/2 of cup of water (can use almond milk, coconut water, etc.) in a blender and blend to desired consistency. Just keep adding water if you prefer a thinner consistency. That’s it! I personally use 4 cups of spinach or 2 cups of kale and 2 cups of spinach and increase the water. This leaves me with 3 cups of fruit and 2 cups of vegetables all in one delicious smoothie! 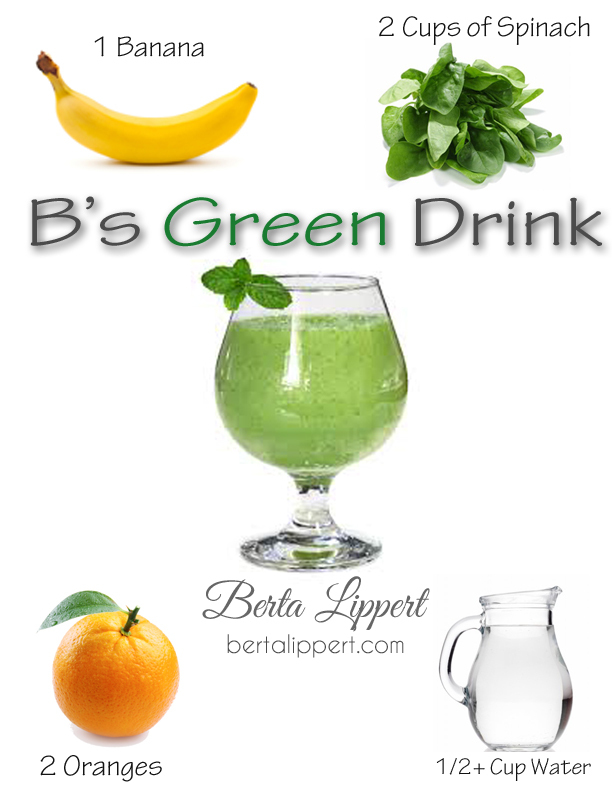 I hope you enjoy this recipe and that you find yourself regularly incorporating healthy, green drinks in your diet. Once you get the hang of this easy recipe, you can find a lot more on the internet or easily make up your own! Enjoy!